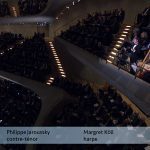 It’s hard to say for whom it was the greater honour: for Philippe Jaroussky to be the very first singer ever at the Elbphilharmonie, or for Hamburg, and, on a larger scale, Germany, to have secured a musician of indisputable world class to open the new venue. Summary: it turns out you can’t please everybody. Some weren’t entirely happy with the sound (from a weird angle, as has been amended), some were overjoyed, some bemoaned the choice of pieces and composers. 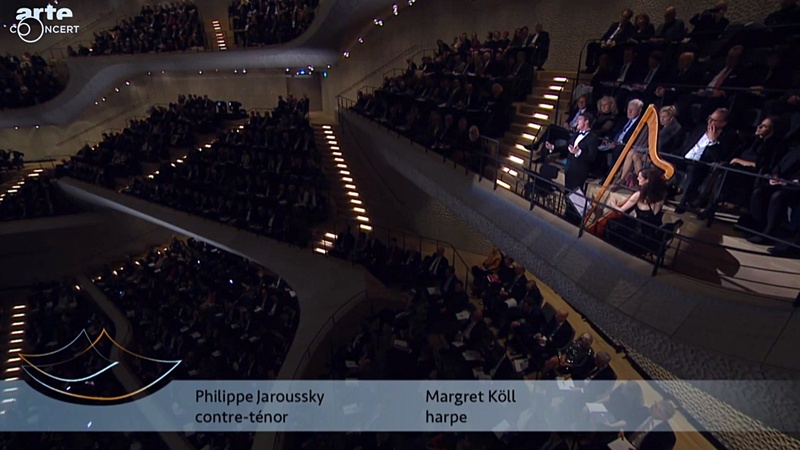 Actually, there was only one thing that drew unanimous consent: Mr. Jaroussky’s performance. Because I didn’t see it mentioned anywhere, let me add an extra credit because only the day before the inauguration, Jaroussky had sung the last performance of Alcina in Zürich – Ruggiero, a whale of a role. So, probably as the only one from the cast, he wasn’t allowed to party after the dernière but had to get ready for Hamburg without any break. Furthermore, I can only imagine what it means to sing as the very first singer at an event of that scale, and without the comforting blanket of an orchestra, knowing every shade of what you do is going to be perceptible, for good and for worse, by the roughly 2000 people in the live audience, and the audience following the live stream worldwide, with people zooming in on Google 3D – including many people who most likely will never have heard you before. In short: a true feat, and a memorable performance. Let’s hope his glorious singing broke the spell of bad luck that was hovering above the project! Finally, my own two cents: as a person from Stuttgart, I’d happily take roughly ten times an Elbphilharmonie (and counting) for a probably eternally unfinished Stuttgart 21.